You have found what looks like mold but are not sure it really is mold. You smell a musty smell but do not know where it is coming from. You might be experiencing allergy-like symptoms that get better when you leave your home. …and your research reveals that mold testing might be necessary. But, as you look into it, you find that professional mold testing is NOT cheap and rather expensive. So, is it worth it? And how do I know if I need it? Is there a cheaper way? We’ll answer all these questions and more! 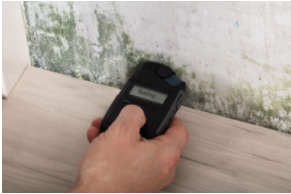 In cases where mold is visible or detected, mold testing is not necessary. Yep! While toxic molds can cause more health risks than regular molds, NO type of mold is good for you and all will release mold spores into the air affecting your air quality. And ALL mold is removed in virtually the same way, so knowing the type of mold is not going to help you. As soon as you see or even smell any type of mold or mildew, it is helpful to call in a reputable professional remediation company (or home inspector) to provide an inspection to help you locate & address the source of moisture causing the mold and get rid of the mold properly. Often if you smell it, a professional can help you find it. When is professional mold testing worth the money? Professional mold testing can be worth the money if it provides answers to questions that a good professional remediation expert or inspector cannot answer for you. Our recommendation would be to first find a good mold remediation company or mold home inspector that can help you diagnose potential moisture issues and find hidden mold. Our company has found many mold issues from customers who had no idea if they even had a mold issue, but called us anyway. If you are experiencing health symptoms but do not smell or see mold. Often, the symptoms may improve when you are away from home, but not always. When it is required, such as in a home sale situation. If you are a tenant and need to convince your landlord that mold does indeed exist in your dwelling. If your doctor has required it due to a possible mold-related health diagnosis. After mold removal, Mold Clearance Testing can verify that indeed all of the mold has been effectively removed from your home. It is VERY important to find a professional mold testing company you can trust! Here is the kicker…not all mold testing individuals or companies are reputable. The testing and remediation industry is filled with individuals and companies who are capitalizing on the scare of toxic mold with false recommendations and ineffective remedies! We once observed a testing company who used a leaf blower to stir up the air in the hopes of finding mold spores! That is very commonly found, so if you order testing, be present and keep a watch on the testing process. 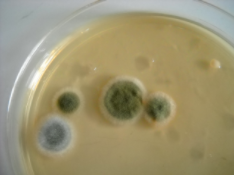 As a service company, we do not provide mold testing. It’s a conflict of interest for a mold remediation company to do so as they could easily skew the results to make things look worse. If a third party testing company comes in and tests outside of the remediation company, you can bet they don’t have as much of an agenda as if they were also doing the remediation themselves. Can I just use an over-the-counter mold test kit to save money? Knowing where & when to properly test in your home. Location is important in gathering accurate results. Also, you should know what the mold count is on the outside, as well. Assuming that your results are actually accurate, you may not know how to correctly interpret the results and know what they mean for your situation. …and that is assuming you have accurate information. How do you really know that your results are accurate? We hope that this article provides you with the information you need to seek out trusted and honest help for your situation. We don’t want you to fall prey to anyone who could take financial advantage of your vulnerable situation. Sadly, many in the mold testing and remediation industry like uninformed customers who will blindly follow their advice and pay extra for testing and remediation techniques that are often not necessary. Do your research, get multiple quotes, and find out the truth. It’s worth seeking!